Call it “AMG light” if you like or “entry performance,” but it’s become somewhat a trend in the automotive industry, especially among the luxury brands. 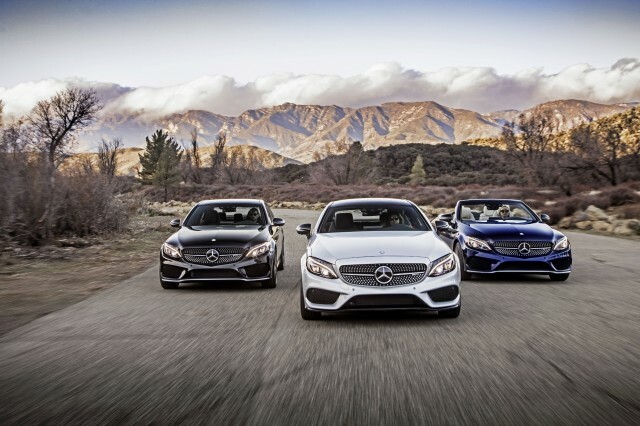 Mercedes-AMG is doing it with its 43 models, Audi has its S models, and BMW has offerings like the 340i. Even Infiniti has the Q50 Red Sport 400. They aren’t full-on top-of-the-line performance models, but are they track ready? We can’t answer that question for all the brands mentioned, but we posed it to Axel Wolleson, overall vehicle development engineer for Mercedes-AMG, and he was able to shed some light on the development process the Mercedes-AMG 43 vehicles must undergo. “All cars of our 43 model range are also tested on the Nürburgring Nordschiefe as we do on the 63 models. They are developed by the same people. They are developed to the same specification, but they can vary in the lap time,” Wolleson told Motor Authority. The testing is done during the entire development process. “We are consistently there [at the Nürburgring] over the whole development period of the car. Every prototype ride, we go to the Nordschliefe. It can be over two years, until the final approval of the car,” Wolleson explained. At the end of the development, the cars and SUVs in the 43 lineup have to undergo final testing at the Green Hell that may take a week or two. We pressed for more details, such as how many laps the vehicles run, what wear items can be changed and when, but Wolleson wouldn’t answer those questions, thinking it would be good information for Mercedes-AMG’s competitors to have. The Nürburgring Nordschliefe is a 12.8-mile stretch of track that is notoriously tough of vehicle components. To run there, vehicles must have sufficient cooling to prevent overheating and brakes robust enough to handle extreme conditions. While the 43 and 63 models have to undergo the same testing, the vehicles will withstand different loads during these tests. The C43, for instance, is powered by a twin-turbocharged 3.0-liter V-6 that puts out 362 horsepower. It reaches a top speed electronically limited to 130 mph, and it has 14.2-inch brake discs up front with 12.6-inch discs at the rear. The C63 and C63 S, on the other hand, produce 479 and 503 horsepower, respectively, and are limited to top speeds of 155 and 180 mph. The C63 gets 14.2-inch brakes all around, while the C63 S increases the fronts to 15.4 inches. The C63 models weigh 140-160 pounds more than the C43, and the brakes have to deal with greater speeds. That means higher temperatures and more stress on the C63s, but they generally get more robust components. Given that information, we would trust using a Mercedes-AMG 43 model as a track-day vehicle? Perhaps. We wish Wolleson had been more forthcoming about the degree to which Mercedes-AMG tests these vehicles. However, we have experienced the 63 models on a track for hours at a time and didn’t experience brake fade or overheating issues. Given Wolleson’s word that the 43s must live up to the same standard as the 63s, they can probably handle track duty as well. We’d stick to the lighter coupes and convertibles, though, and avoid the larger sedans and SUVs.